Why Would You Want to Get a PhD? You prove that you are a true expert in your chosen field. Some roles will actually require you to hold a PhD before you can apply. You will develop research and analysis skills of the highest level and will be able to apply them in other areas of your life and work. You will increase your own confidence and ability to work in other fields. People you know may already be well on their way up the promotions ladder before you even get to graduate. You will have missed out on a full-time income during your research and it may take several years before you start to catch up. Studying for a PhD can cost a lot of money, according to Study.com some 2/3 of students will receive some form of funding. However full costs can be upwards of $36,600. You may become fixated purely on your area of study due to the length of time you work with it. A PhD may not actually help you with finding employment unless you are aiming at research work. Before you actually apply to any PhD program you will have some work to do. You will need to be able to identify your own research interests before you get started. Often these will follow on from your masters work or from some work experience that you have. You need to think carefully about what you will want to research prior to applying so that you can identify those programs that can actually support the research that you want to do. Once you have identified your research area it is time to review the specific programs that are out there to see which will offer support in your specific field. You will however often need to go further than this. You will be expected to be able to identify a potential supervisor for the work that you want to do. At times this may even require you to take the time to visit and discuss your needs even before you apply. Not only will this help you to find the right program it also helps to clearly register your interest and show that you are proactive in getting what you want. You may also have to undertake an entrance exam and you will almost certainly have to sit through an interview. Why you want to study in your field at graduate school and what your subject is. What experience you have in your chosen field. What you will do with the degree you earn once you have received it. What are your reasons for studying a PhD? What are your specific academic interests? How do your academic interests relate to your future professional goals? Ensure that you cover every point that is raised within the prompt and give equal values to each within your writing if you want to be considered. Your reasons for pursuing your field or research. What research experience you have in your field. Your specific end goals once you have completed your degree. Always carefully check the expectations of the specific school and program that you are applying to and reflect that within your writing. Why you are pursuing the specific subject area that you are applying to. What research experience you bring to the program. How the research relates to your own future career goals. 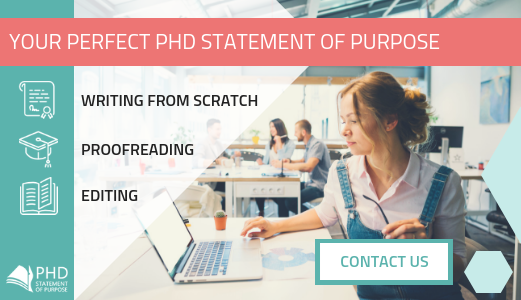 Whether you are writing a statement of purpose for PhD in finance or any other subject you will always need to carefully review the expectations of the program that you are applying to. Every university and each program will have very specific expectations about what you should be covering and how that information should be presented. Failing to follow their guidance will simply cause them to disregard your application. As with any SoP, do not simply regurgitate your resume or repeat other information. Your statement must be attention grabbing and show who you are as a person. Why are you applying to this specific program and what preparations have you made? What are your future career plans and any other information that will help the committee evaluate your suitability for PhD studies? Why are you interested in your field of study? What have you already undertaken in the way of research and other preparation? What makes you an ideal applicant for the program? What are your future goals and how does this degree relate to them? Remember that your statement must be a completely new view of who you are rather than a rehash of what is already provided within the other documents that you provide. What your specific research interests are. What experience you already have with conducting research. What has attracted you to this specific program? How this relates to your own future career goals. 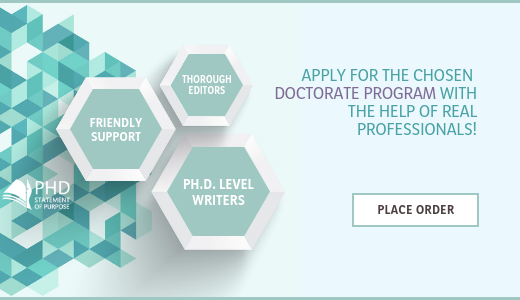 How Can We Help You with Your PhD Admissions in the US? 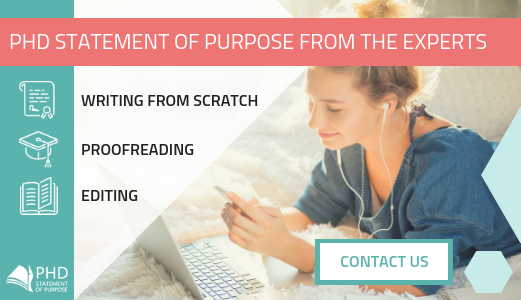 We offer you a full range of writing and editing support through our team of highly skilled experts. Each has many years of experience with supporting applicants to the top universities and fully understands what works. They know what each university expects to see and how to craft a statement that will make your application truly stand out from the crowd, even if it’s a theology statement of purpose. They have excellent English language skills and will be able to help you to craft the most impressive statement through one on one communication. 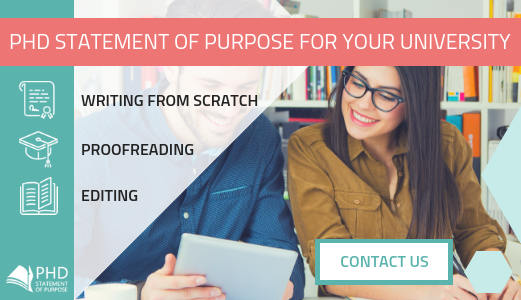 The writing is always totally unique to you and will be targeted carefully to the application that you are making to maximize your chance of success. 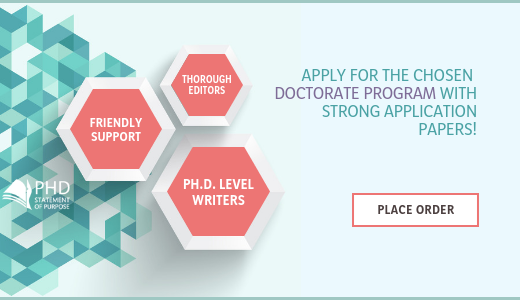 Meet the PhD admission requirements in USA and submit a statement of purpose that will impress with the support of our highly skilled specialists.